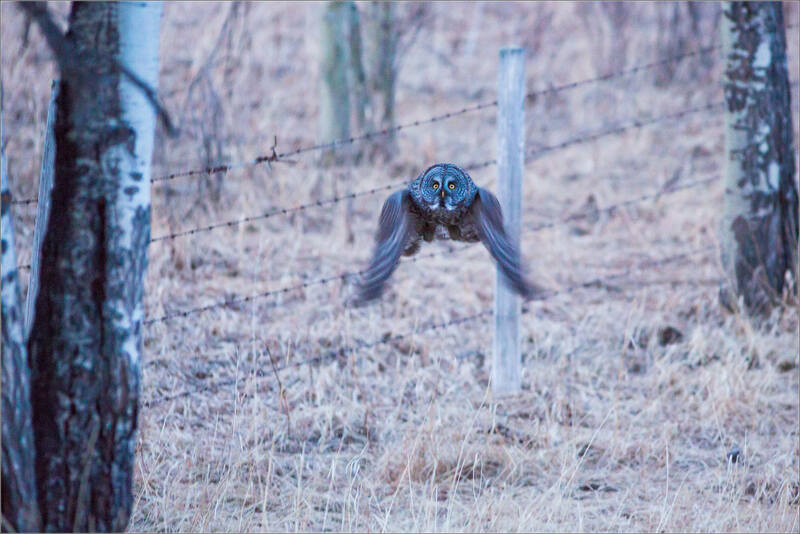 I found an owl hunting after dusk had settled over Bragg Creek. It was getting dark quickly and I had go back to my car for a flash at one point. I started to photograph this Great Gray around a stand of trees on the edge of a field. After a while she moved out onto the yellow grass and then went to perch on a fencepost. Retrieving the light, I mounted it in the hotshoe and it didn’t take long to relocate her. We then spent an hour together as she hunted on either side of the fence line while I watched from 40′ away. She was very comfortable with me there and flew to a post closer to me on a couple of occasions. 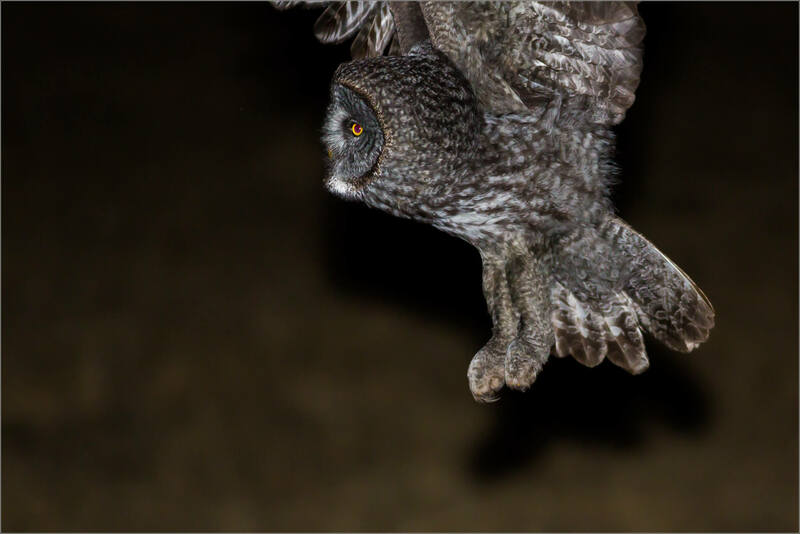 It was challenging to shoot the owl in flight but a lot of fun. At one point we traveled along the fence with her stopping every 100′ until I caught up. 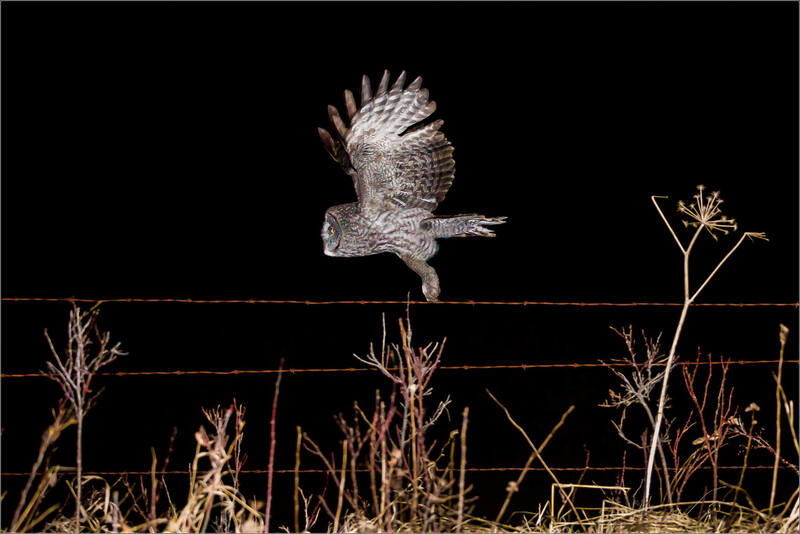 When we had returned to the edge of the trees, the owl flew back out towards the field. It was a very powerful encounter for me. This entry was posted on April 10, 2015 by Christopher Martin. 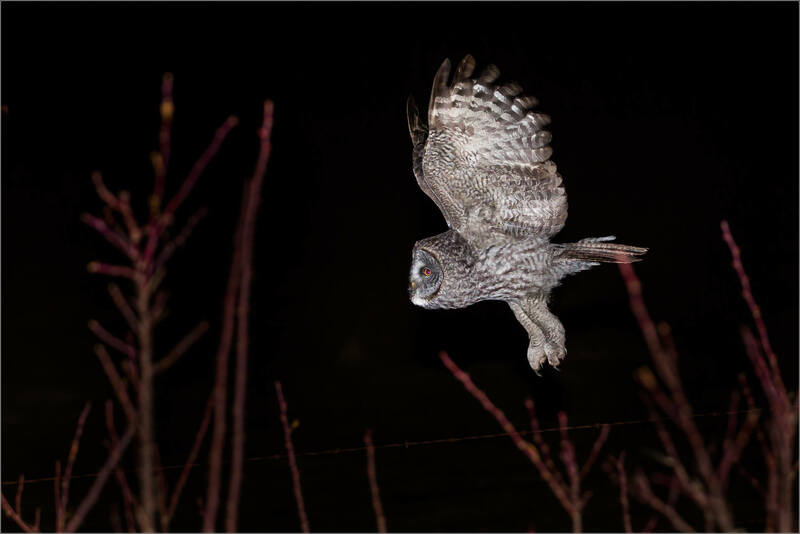 It was filed under Nature, Night Photography, Owls, Wildlife and was tagged with alberta, bird, Canada, dusk, flying, Great Gray Owl, night, owls, wildlife. I’m convinced your patience must be epic! It’s no accident that you get the shots you do. What a glorious bird – she must have found you interesting too! So intelligent. She was watching you!